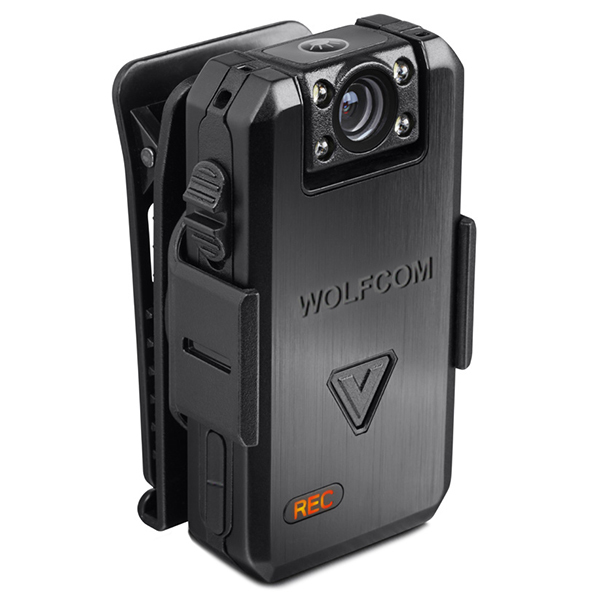 WOLFCOM® has been in the Police Body Camera market from the beginning. 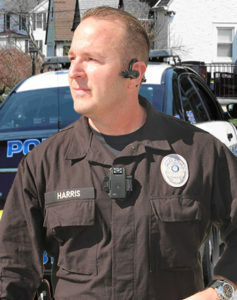 Our very first Body Cameras set the standard for today's body cameras. As of this moment, 99% of the world's police body cameras have modeled or copied our cameras in some shape or form. Our Evidence Management Software and its Automatic Video Redaction feature are again setting the standards that Law Enforcement Departments all over the world are following today. 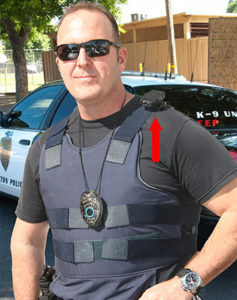 Introducing the New Halo Body Camera System! Weighing only 4.6oz, Halo is an ultra-light device that features a whopping 10 to 12-hour battery, High-Resolution Recording, and much more. 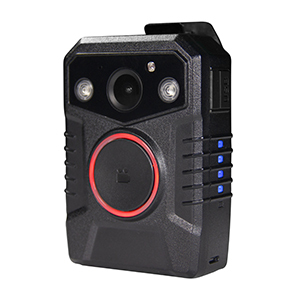 The most lightweight Law Enforcement body camera on the market. This camera is a 3 in 1 device and has options for POV camera attachments. 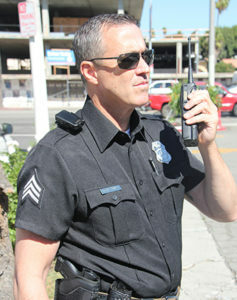 This 4 in 1 body camera integrates with your 2-way radio and replaces your speaker microphone. 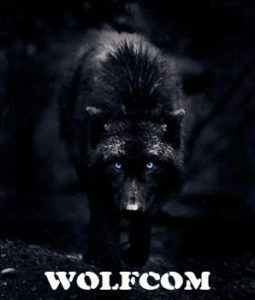 NightVision, GPS, Digital Camera and more. 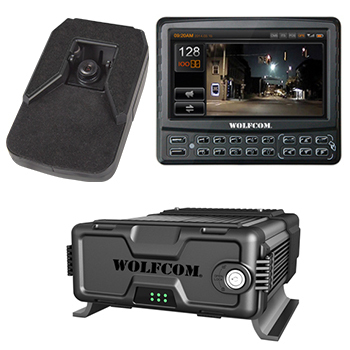 The WOLFCOM LSNVR is an IP based state of the art In-Car Solution and that offers one of the most advanced car camera systems in today's market. This system can be easily installed and provides advanced quality and capabilities. 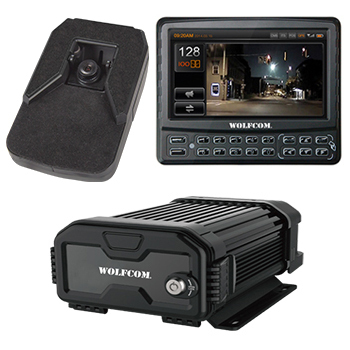 The WOLFCOM MDVR In-Car Solution is a functional Mobile Network Video Recorder specially designed for vehicle video surveillance and remote monitoring with a built-in high-speed processor and embedded operating system. 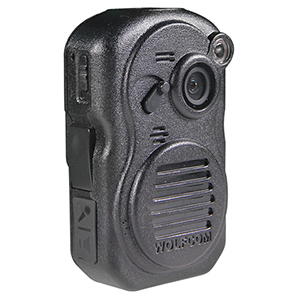 The WOLFCOM Mini MDVR is a compact and cost-effective device designed for mobile video surveillance. Unlike other in-car systems, this unit combines the processor and a high-definition front-facing camera in one tiny device. Our CJIS compliant Evidence Management Software is designed to manage digital evidence in one location. Our User-friendly interface makes give you a complete overview of your Video, Photos, Audio, and Documents. 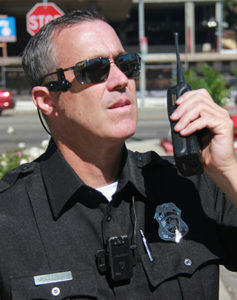 Integrates with 3rd party Police Body Cameras and In-Car Camera Systems. FREE 1 year Trial for Qualified Agencies. FOIA Requests from the media or the general public can take a lot of time to fulfill. Using commercial video editing software takes too much time. With our Smart Video Redaction built right into our Evidence Management Software, you'll be able to easily redact faces, objects, and audio in minutes. FREE 1 month Trial for Qualified Agencies. 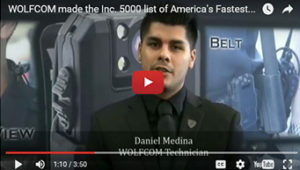 WOLFCOM® is known throughout the world as the experts in Police body camera design and development. Today, 99% of the body cameras sold in the world have followed the standards we set since the beginning. 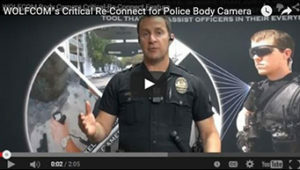 Our body camera expertise extends beyond the solutions we first began with. 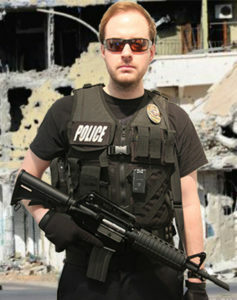 Today, we are also experts in Law Enforcement Software development and integration. 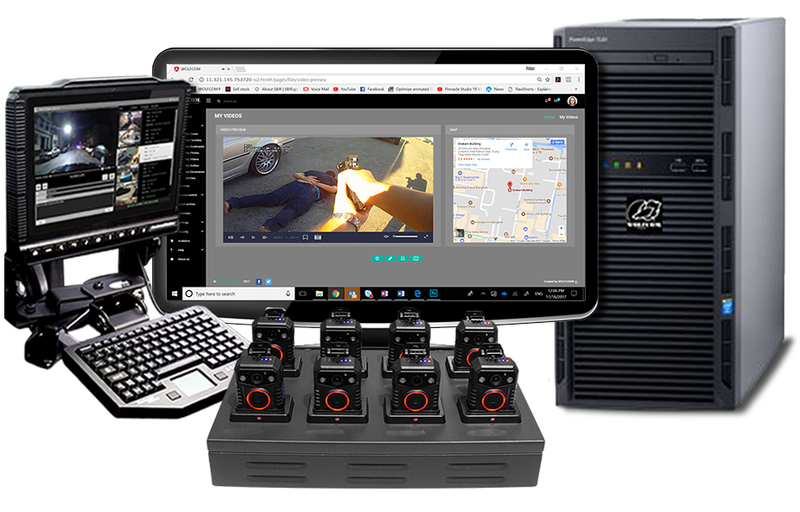 Our Evidence Management Software is taking the police body camera industry by storm, once again setting new standards for the rest to follow. 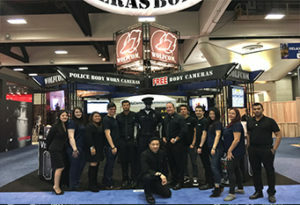 Police body cameras developed and sold by WOLFCOM® are used in over 1,500 police departments across the United States and worn by thousands of Law Enforcement officers around the world. Evidence Management Software has become just as important as body cameras. Police officers in the United States alone record thousands of hours of police body camera and In-car camera video footage every single day. The amount of body camera videos is staggering and finding a way to store, organize, protect and encrypt recorded video is challenging. 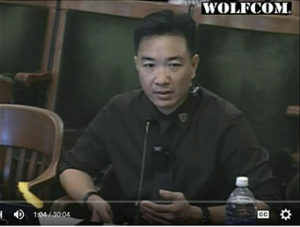 At WOLFCOM®, we developed the most robust, secure, and user-friendly Evidence Management Software that can manage every type of digital evidence a police department may need to manage. 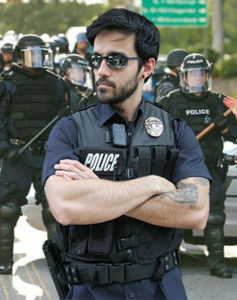 Using our experience designing police body cameras, we've built our software following CJIS compliancy guidelines mandated by the Federal Bureau of Investigations and use the most updated technology that will allow it to evolve with time and technology. 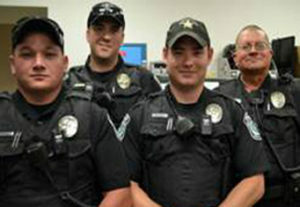 Police body cameras are now worn by almost every police officer in the United States. Combine that with Police In-car camera systems and you now have thousands of hours of video footage recorded by police officers every single day. A majority of the recorded video is non-critical video, meaning it's not that important to retain for long. However, some of the videos are important evidence that can be used to either convict or exonerate a suspect, an accuser, or an officer. This has started a mass request for Video Redaction Software in order for Police agencies to comply with FOIA requests. Police agencies are scrambling to keep up and their only alternative is to be able to use Automatic Video Redaction Software. Our nations Law Enforcement officers and First Responders risk their lives every single day in order to serve and protect us. Despite their honorable sacrifices, their integrity is under constant attack. To protect those that protect us all, our mission is to create the best police body cameras in the world. 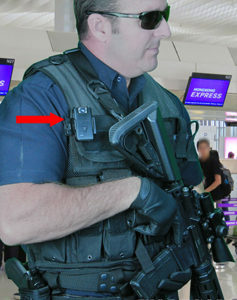 A body camera that will see and remember what an officer may have forgotten under stressful conditions. 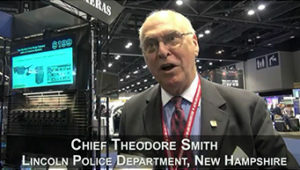 A body camera that will be the truth behind false accusations when an officer needs it the most, and one that will put the viewer right in the shoes of the wearer. We push ourselves to make the best Police body cameras in the world because “Cops Deserve The Best”. "Because Cops Deserve the Best!